Roger and I are avid readers - from a long line of avid readers on both sides of the family. So I am betting that we are just about the last converts to eBooks. We even resisted the move to electronic media when our son Christopher brought home a free-trial Nook from the Barnes and Noble where he worked. However, the change has begun. The tipping point came by way of our hand-held tablet computers, which we dearly love. Now I find that eBooks are dangerously habit-forming. It is only three clicks from a "good read" to its sequel. It is just too easy to dive back in! But this technology is not quite there yet, in my opinion. The trick is that the publishing industry has standardized its formating software with the .PUB file extention, and this is a huge step in the right direction. Basically, this standard format means that all pages display, turn, etc. in the same way across all platforms. However, the licensing still has not been standardized across the industry. In other words, an eBook purchased from one vendor will not necessarily display on a device purchased from another. Rats! Remember when we couldn't "port" our phone numbers when we changed cell phone companies??? - this software barrier is just as annoying. Ebook vendors need to learn from Adobe, who made PDF (Portable Document Format) the universal standard when Mac and IBM computers refused to talk to each other. Google Books - Google lists over three million titles in its eBook collection, with over a half a million of them available at no charge. I have found, however, that the ability to search and sort is somewhat limited. 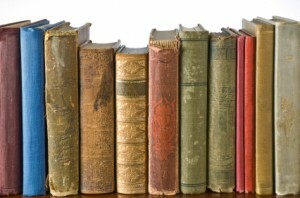 Barnes and Noble - Barnes and Noble made its mark by re-publishing out-of-copywrite classics. B&N shows 1,836,790 free eBooks in their system. They have the abiltiy to search and sort, including the ability to search by category. Amazon.com - Amazon carries 34,913,842 books in English, of which 1,155,723 are available for the Kindle. This service has advanced search features, including the ability to search by department ("Mysteries"). About 36,000 of the Kindle books are free. So for now, I am still purchasing both digital and printed books. It just depends. And my wish list for the future includes better search-and-sort functions and more portable licenses for the eBook industry.